Today I am starting my holiday baking. I am looking forward to putting together cookie/treat platters to share with my family and friends. If you’re in Omaha watch out, I may just cookie bomb you! These have to be my favorite non chocolate chip cookies. These are the cookies that I would grab first off a cookie platter. 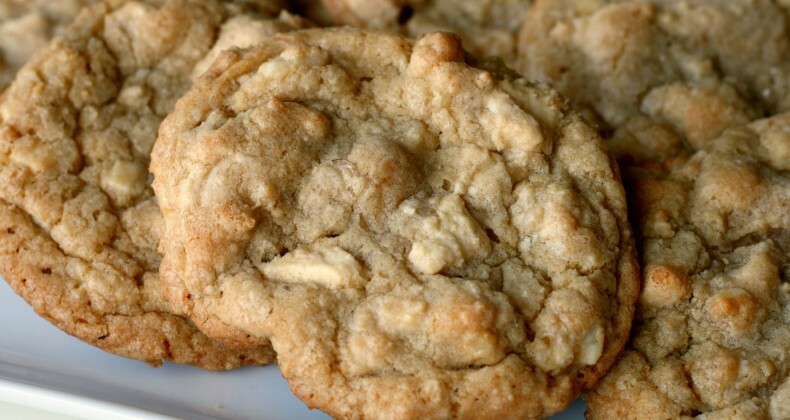 Sweet white chocolate chunks and buttery macadamia nuts, what’s not to love. Seriously! 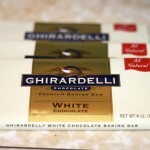 I upped theÂ anteÂ with these cookies and used Ghirardelli white chocolate bars that I left in pretty large chunks. 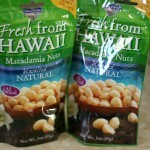 I also use whole macadamia nuts that I let the mixer “chop” as they were mixed in. 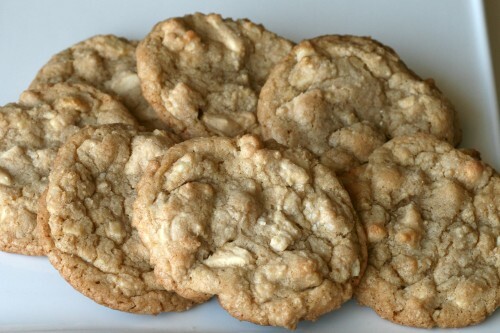 Large chunks of white chocolate and large chunks of macadamia nuts are my favorite part of these cookies. My husband said these were the perfect combination of chewy and crispy. An ideal cookie in my opinion. Preheat the oven to 325 degrees F (165 degrees C). Line cookie sheet with parchment paper. In a mixing bowl, cream together the melted butter, brown sugar and white sugar until well blended. Beat in the vanilla, egg, and egg yolk until light and creamy. Mix in the sifted ingredients until just blended. Add in the white chocolate chunks and the macadamia nuts, use your mixer to break up the chocolate chunks and macadamia nut by mixing on medium for about 20-30 seconds. My favorite cookie of all times!!!!!!!!!!!!!!!! Grandma you will have to have Grandpa mix you up a batch!